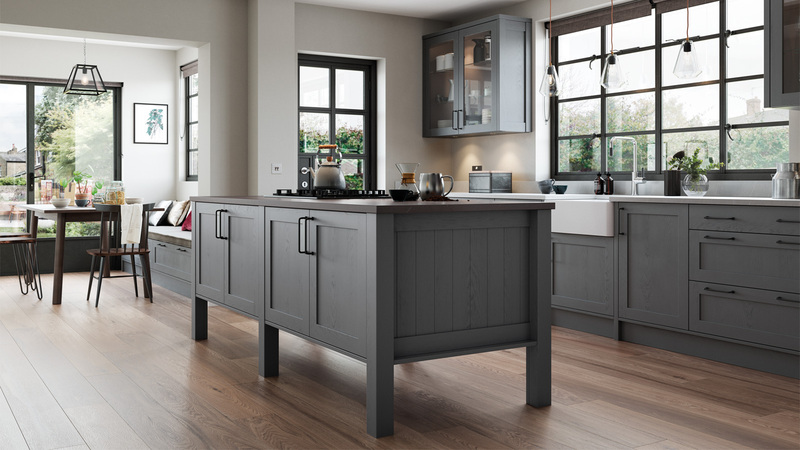 The Aldana range, from kitchen furniture manufacturer Uform, is now available ex-stock in five colours: Ivory, Mussel, Stone, Light Grey and Dust Grey. The Aldana Shaker-style door has a 20mm solid ash frame with flat, veneered ash centre panel and visible grain. Dust Grey is the latest ex-stock colour choice for the Madison classic Shaker door and Wakefield beaded Shaker door. To check out other current and upcoming palettes for the kitchen, have a look at our colour influences feature.